Fall is in full swing and it’s time to enjoy it to the fullest! 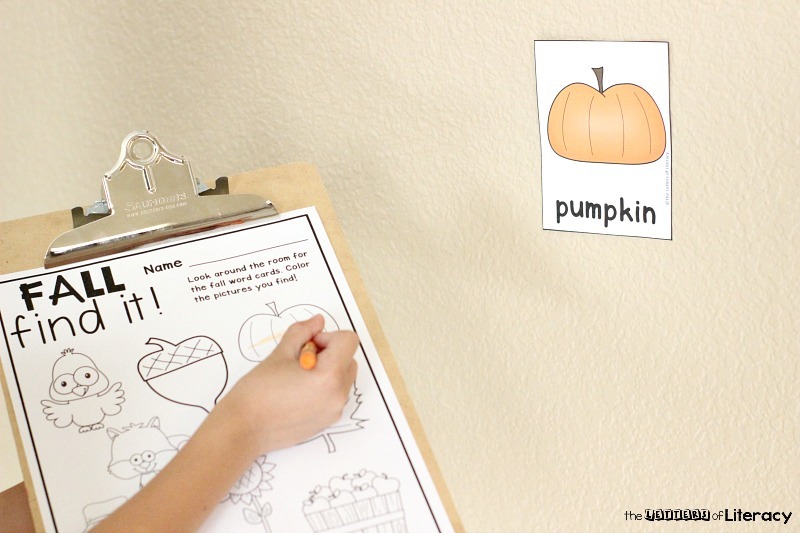 Today we are excited to share with you a simple writing center that uses our favorite fall concepts to encourage children to read. 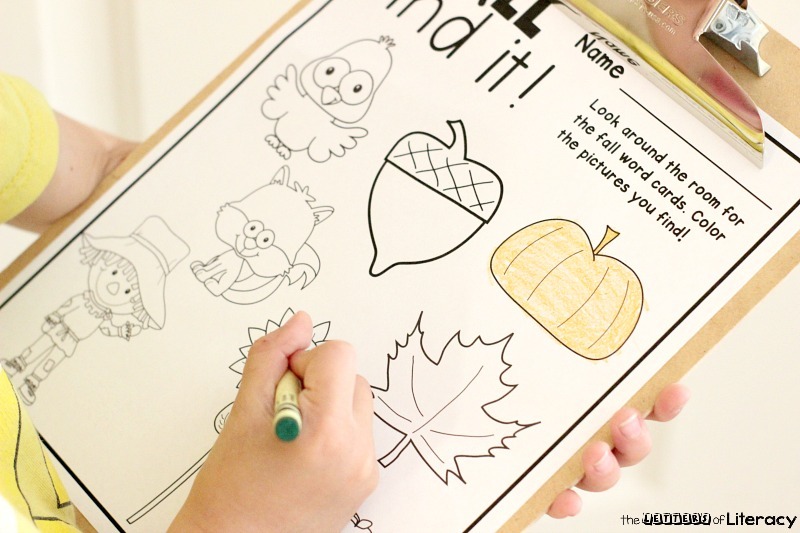 This free printable fall writing center is a fun, simple way to get your children walking around the classroom, reading, and coloring all at the same time! 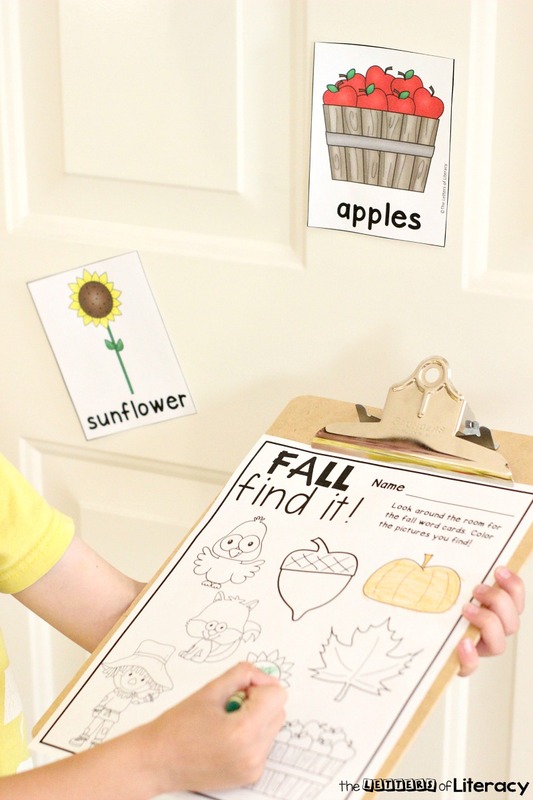 This fall printable is suitable for Pre-K and Kindergarten classrooms. 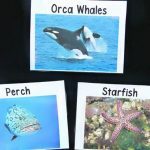 You can use this in your homeschool or traditional classroom as a reading workshop or writer’s workshop center. 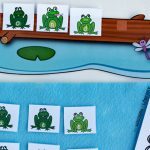 What’s great about this activity is we already did the hard part for you, the printable is already created and ready to go! Just grab a few supplies and let the fall fun begin. I would suggest using this as a one person activity or with a partner. 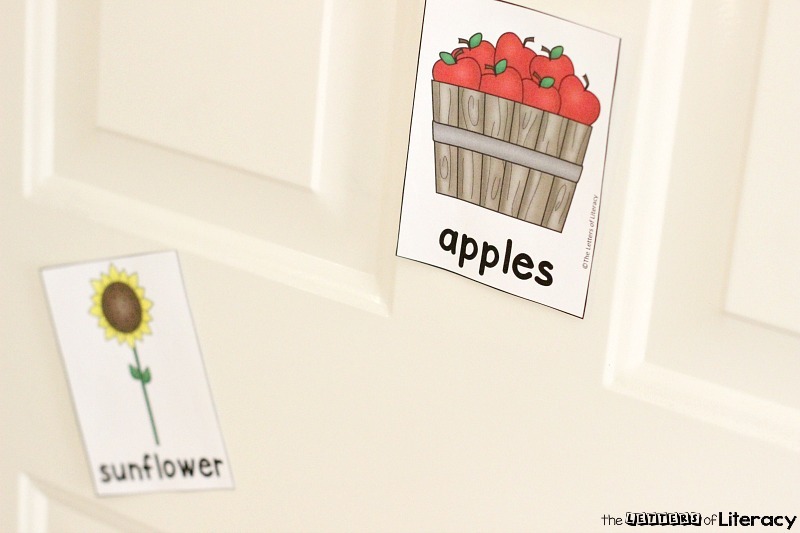 If you choose to use this in a center for one child, then be sure to scatter the fall vocabulary cards around the room before the school day begins so the writing center is already prepped. 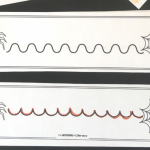 You can use a little piece of tape (or velcro if you will have it in the same space all the time) to place them on the walls around the classroom. My favorite way to use this fall writing center is with a pair of students. 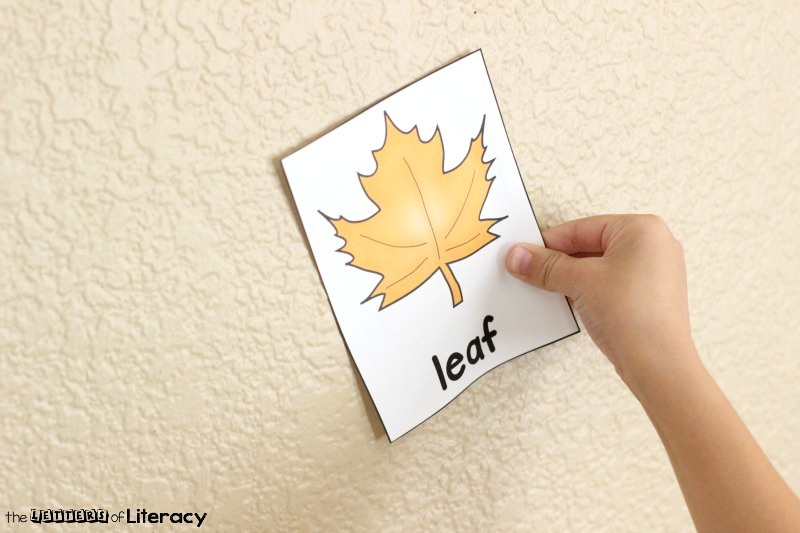 Once the fall vocabulary cards are printed and cut out then partner #1 uses a small piece of tape to scatter the cards around the classroom by taping them to the walls, cabinets or shelves. Partner #2 should turn his/her back so they can’t see where partner #1 places the fall vocabulary cards. 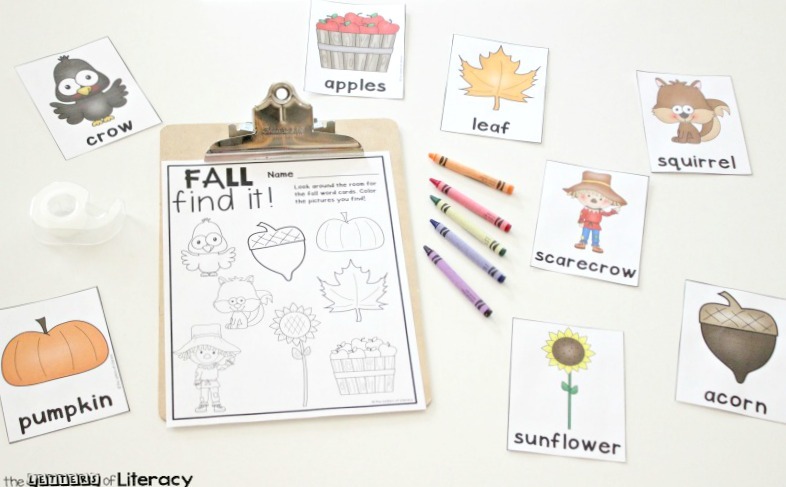 Partner #2 then uses the recording sheet and a clipboard to find the fall vocabulary cards scattered around the classroom. 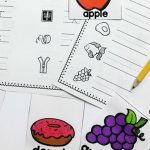 The activity continues until both partners have had a chance to hide the fall vocabulary cards and find them on the fall coloring printable. 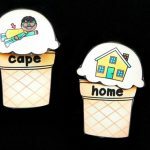 I hope these fall writing center printables bring some fun and joy to your classroom. 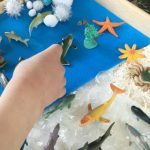 Your students are going to really enjoy using them! 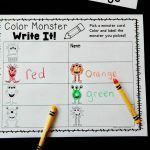 Ready for some fall writing center fun? 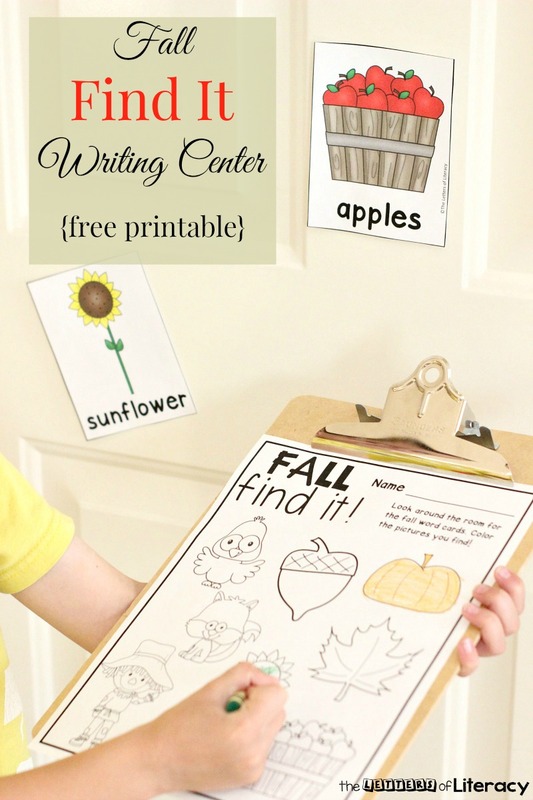 Grab your copy of the Fall Find It Writing Center printables by clicking the blue button below. 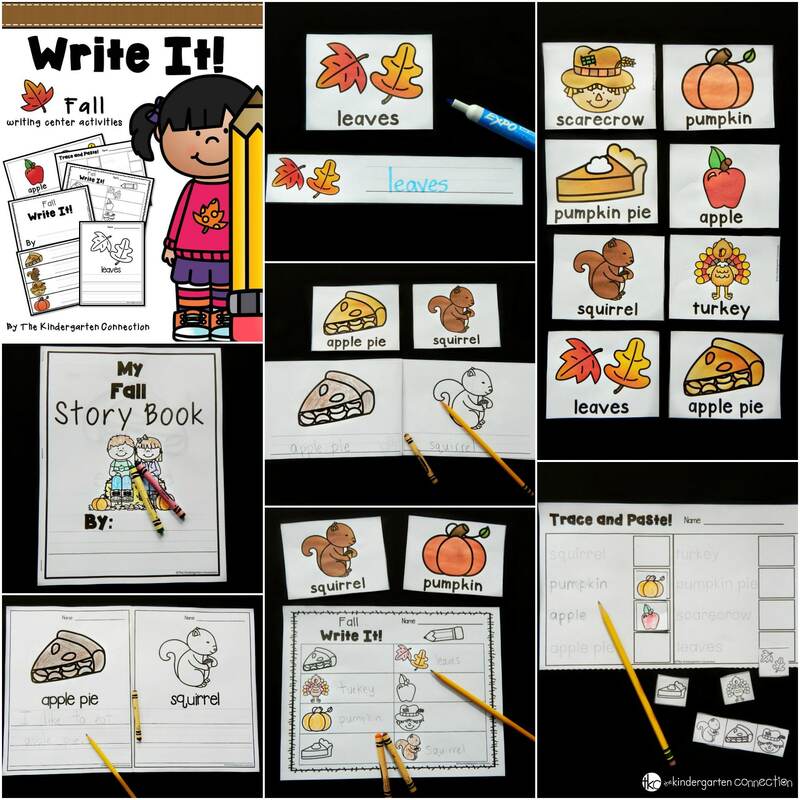 Then, for more fall writing centers, including labeling, sentences, and more, hop over and grab our Fall Write It! Pack. Thank you so much for this resource. 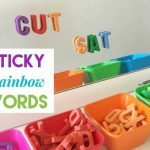 It is a quick center that can be easily differentiated. Awesome! Hi Michelle! We are happy to hear this writing center will be of use in your classroom! Enjoy!